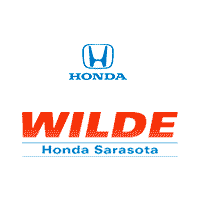 Wilde Honda Sarasota has partnered with the Sarasota Christian School for a chance drawing to win a 2018 Honda Civic EX. Only 400 tickets will be sold for a donation for $100 — an excellent chance to win! The drawing will be held on Saturday, February 17th, 2018 at the Sarasota christian School’s 59th Annual Auction and Festival. DISCLAIMER: Vehicle shown may include optional equipment. Drawing by Chance is open to citizens or permanent residents of the United States who are eighteen (18) years of age or older. Payment of all applicable Federal, State and Local taxes, are the responsibility of, and must be paid by the winner(s). Winner(s) will be issued Internal Revenue tax form(s) 1099 stating the value of the prize(s). No Purchase Necessary. Winner(s) need not be present to win. Additional rules: winawildehonda.com or sarasotachristian.org and at the office of Sarasota Christian School, 5415 Bahia Vista St, Sarasota, FL 34232.